Maybe the people in charge told him as much? Well even if it’s true, its a good negotiation tactic. No more bums! No more being locked in to sign bums! That Europa win is so necessary right now. There’s a small chance right, like the tiniest chance? lol. 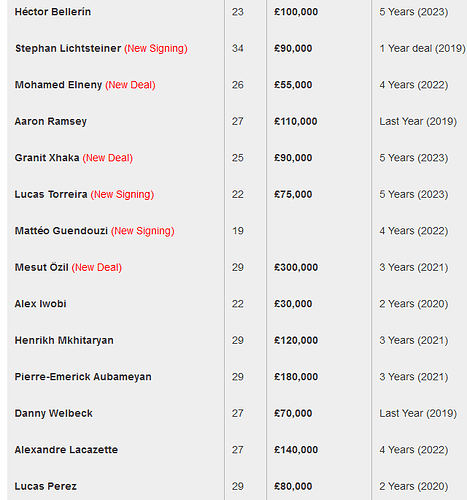 I need to see a list of Arsenal players on 90k or more. I’m sorry, mate. But I’m not going to take anything seriously this guy says. An analysis of Arsenal and FFP under Stan Kroenke, using stats. This Analysis shows how Arsenal owner Kroenke is wrongly blamed for FFP woes, with stats. 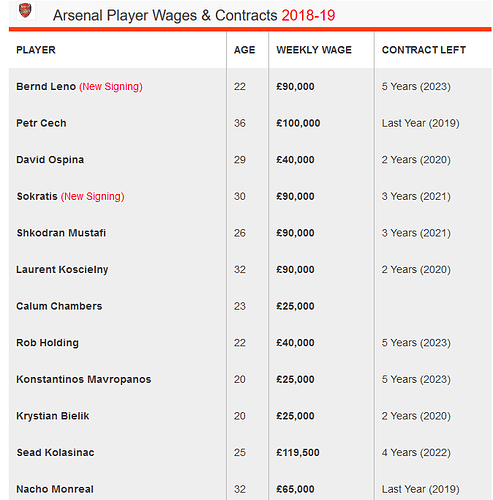 If you’re Ramsey and seeing Kolasinac being paid more than you, no wonder he’s off. Mesut shits on all of them , Kolasinac came on a free, hence the big wages, but still he shouldn’t be nowhere near those figures, with each passing day, Gazidis looks even more clueless. 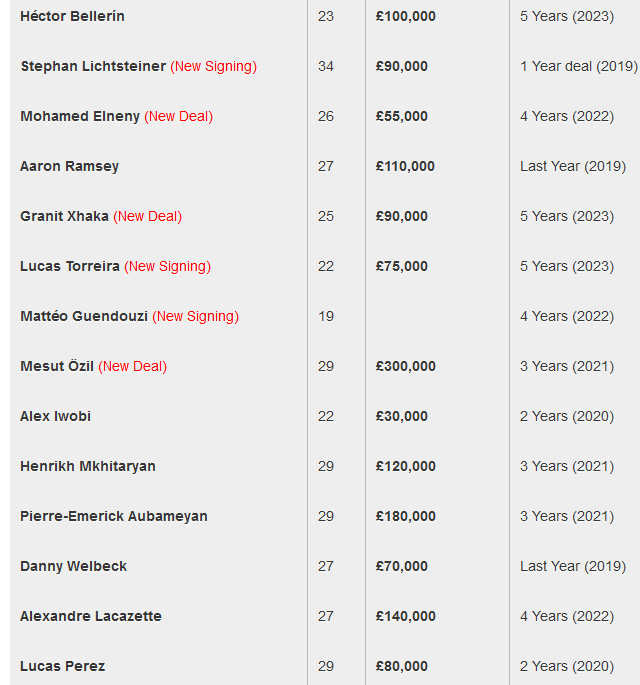 Didnt know the emirates deal was about to expire also, so that should be a nice sum to add also they say it could be 50m or so a season add that to adidas and also dropping 500k a week or our wage bill summer could be better than we expect. Seems like this every transfer window aswell. 70 mil ahahah? You buy nothing with this budget these days. Knock Kroenke down. He is ruining us. This is an unpleasant update. The idea that we’re supposed to make a run at Top 4 this year by only really adding some stopgaps and Torreira is insane. What I don’t know is if Emery thought he would be able to integrate Özil into the team a little bit better. Thought we went down a new, amazing, exciting path when we signed Auba. Mad times. Now we’re broke and can only get loan deals or injured Kallstroms. I want January 2018 back.